Samsung’s new flagship duo – the Samsung Galaxy S8 and S8 Plus have been unveiled. With numerous leaks and rumors in series, the Galaxy S8 became the most anticipated smartphone of 2017 in no time. Beforehand, some features were skeptical, but the official unboxing that happened yesterday cleared everything. Thus unveiling a truly astounding phone named the Galaxy S8. As claimed, Samsung ditched its traditional Home button. This not only reduced the needless screen size but also gave it an unending premium look. Moreover, the bezel-less display comes in 5.8-inch and 6.2-inch sizes for S8 & S8 Plus respectively. Samsung has named it as ‘Infinity Display’. When we talk of the build, it is similar to the rival HTC U Ultra, where we see a perfect blend of glass and metal. Well, not every mobile manufacturer can boast of it. So it becomes legit to comment that Samsung and HTC did a pretty good job. The flagship duo will go on sale in the US, the date is scheduled to be April 21, 2017, for all the carriers. Meaning, you can grab the first stock from the respective carrier stores, starting from that date. Also, the sale for European variants will go live by 28th April 2017. Meanwhile, the Galaxy S8 and S8 Plus are available for pre-orders on the official manufacturer website as well as the respective carrier websites. It also lists some goodies that come along with it. You will get direct links for the same in the article below. Update: Bixby will only support the US and Korean language at its initial launch on 21st April. Previously, we have heard of rumors saying that Bixby will come with a support of 8 different languages, but it is now cleared. However, it shouldn’t be a surprise as Samsung will need some time to develop the app, add support to different languages and add the third-party apps to support Bixby. Moreover, the Galaxy S8 is running Android 7.0 Nougat based on the Samsung Experience 8.1. The firmware build number is G955FXXU1AQC9 and the model number for the international variants is SM-G950F for Galaxy S8 and SM-G955F for Galaxy S8 Plus. Looking into the specifications, both the devices are similar in every aspect. Just the difference is the battery and the screen size. Both are fueled by the same 10nm processor, namely- Qualcomm Snapdragon 835 or the Samsung Exynos 8895. It depends on the market basically. As per storage and RAM are concerned, the US variants will have 4GB RAM and 64GB UFS2.1 storage. Whereas, the Chinese and Korean variants are supposed to have 6GB RAM. Both can be expanded up to 128GB via an SD Card. Moreover, its sports a 12MP f/1.7 Dual Pixel rear camera and an 8MP f/1.7 Smart autofocus selfie shooter. They resolution is same for both the devices viz. 2960×1440 Quad HD+ pixels. However, the Galaxy S8 is powered by 3000 mAh battery, while the Galaxy S8 Plus features a 3500 mAh battery in particular. The S8 also becomes the first device to feature Bluetooth 5.0. and will be running Nougat 7.0 out of the box. The device has been rated with IP68 for water and dust protection, whereas the front and back glass is protected by Gorilla Glass 5 technology. The Samsung Galaxy S8 and S8 Plus can now be pre-ordered from the US carrier websites or from the stores in person. The shipping will start from 21 April for the pre-orders or you can grab it offline from the store itself. Almost every carrier is offering free goodies for the customers who order the flagships, starting today. 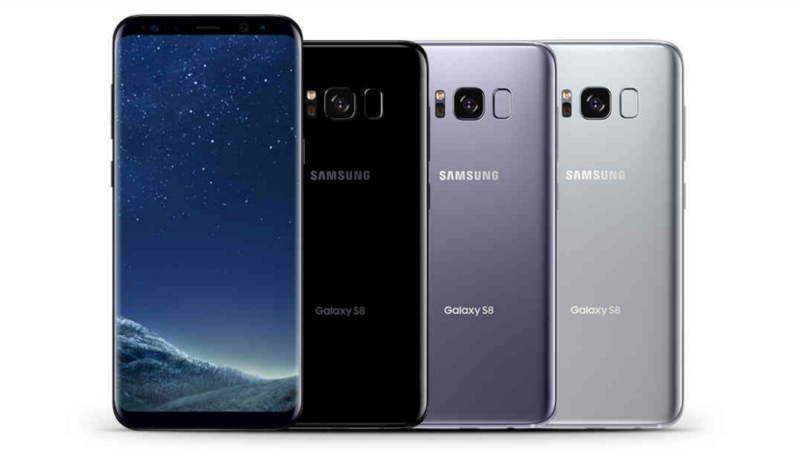 You can pre-order your Samsung Galaxy S8 from Verizon on March 30 in Midnight Black, Orchid Grey, and Arctic Silver. Here’s what Verizon is offering. Now is the best time to get a Galaxy smartphone. 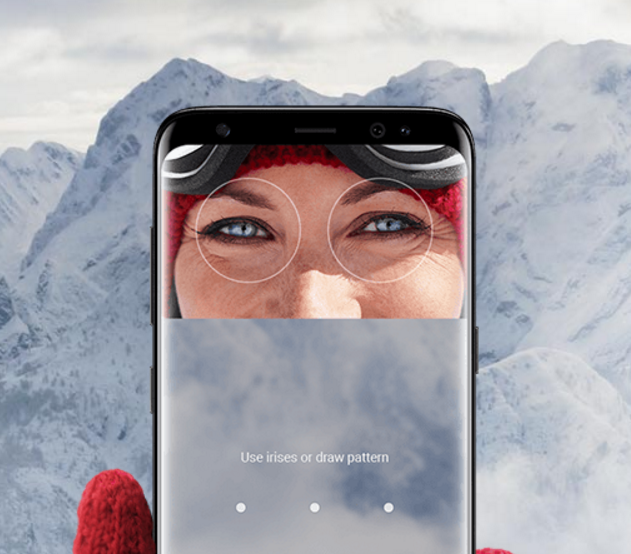 For a limited time only, get the all new Galaxy S8 or Galaxy S8+ for as low as $15 a month when you trade in an eligible device and sign up for the new Verizon Unlimited Plan*. That’s a savings of up to 50%. Also, choose from two Samsung Gear VR offers when you preorder the new Samsung S8 or S8+. Immerse yourself with the free Controller Bundle ($180 value) that includes a Gear VR with controller and Oculus content***. Or take it to the next level with the Experience Box discounted to $99 ($550 value) which includes the Controller Bundle plus one pair of Harman Kardon headphones and a Samsung 256 GB micro SD card****. To order it now, head over to this link-> Order Galaxy S8/S8+ from Verizon. 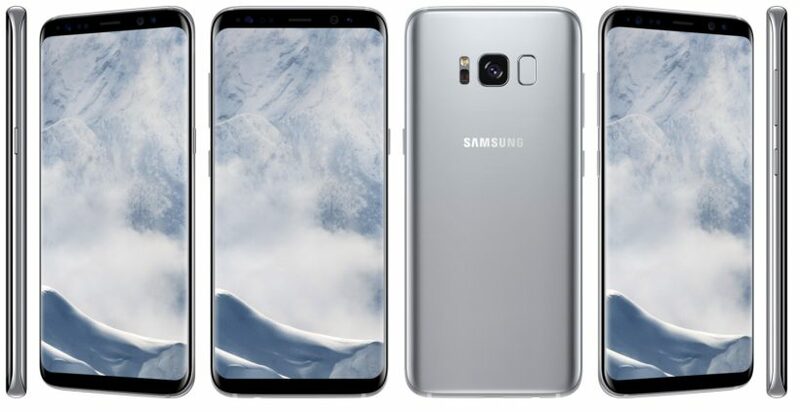 You can pre-order your Samsung Galaxy S8 from AT&T on March 30 in Midnight Black, Orchid Grey, and Arctic Silver. Here’s what AT&T is offering. And, for only 99-cents, you can get a Samsung Tab E and/or a Samsung Gear S2 when you activate 2-year service agreements. On AT&T Next you can get the Galaxy S8 at $25 or the Galaxy S8+ at $28.34 for 30 months with eligible service. Business customers can purchase either device on Enterprise Installment Plans (EIP) over 36 or 24 months. AT&T wireless customers can sign up for the AT&T Unlimited PlusSM wireless plan and get a $25 monthly video credit towards any AT&T video service including DIRECTV, DIRECTV NOW, or U-verse TV. After 22GB of data usage per line, AT&T may slow speeds during network congestion. New AT&T wireless customers can also receive $650 in credits when they switch to AT&T from another wireless provider and buy a new smartphone with eligible service on AT&T Next after trading in their old device. To order it now, head over to this link-> Order Galaxy S8/S8+ from AT&T. 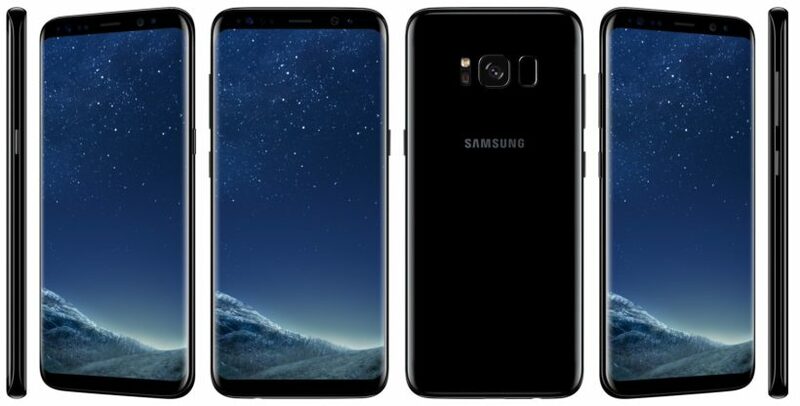 You can pre-order your Samsung Galaxy S8 from T-Mobile on March 30 in Midnight Black, Orchid Grey, and Arctic Silver. Here’s what T-Mobile is offering. T-Mobile customers can pre-order the Galaxy S8 tonight at 9:01 p.m. PT at www.t-mobile.com. To sweeten the pot, when you pre-order the Galaxy S8 at T-Mobile for just $30/month on the Un-carrier’s Equipment Installment Plan ($30 down, FRP: $750), you get a FREE Gear VR with controller and Oculus content, a full $180 value! If you’re looking to go big, the Galaxy S8+ will also be available for pre-order for just $30/month on EIP ($130 down, FRP: $850). MetroPCS customers can also get in on the same VR goodies by purchasing the device when it launches on April 21 (FRP: $729). To order it now, head over to this link-> Order Galaxy S8/S8+ from T-Mobile. 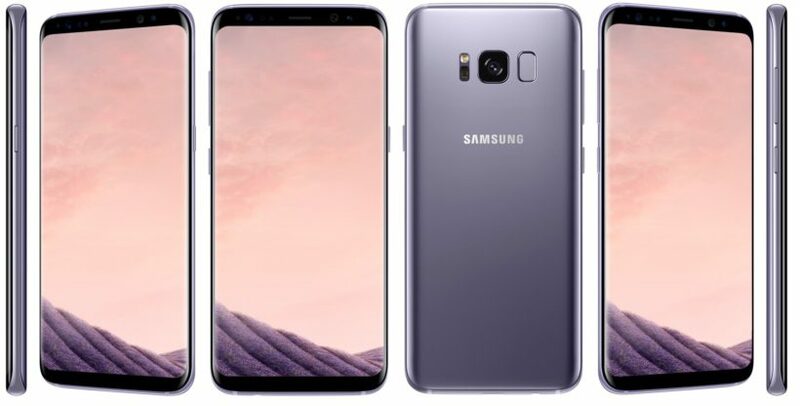 You can pre-order your Samsung Galaxy S8 from Sprint on March 30 in Midnight Black, Orchid Grey, and Arctic Silver. Here’s what Sprint is offering. FREE activation when you pre-order online or call us – a $30 savings! Upgrade any time after 12 lease payments to the latest Galaxy. 1st line $50/mo. | 2nd line $40/mo. Includes HD video and 10GB mobile hotspot. To order it now, head over to this link-> Order Galaxy S8/S8+ from Sprint. So, what do you feel about the new flagship killer? Are you going to buy one? What features you loved about it? Also, share your experience with us via the comments section below.